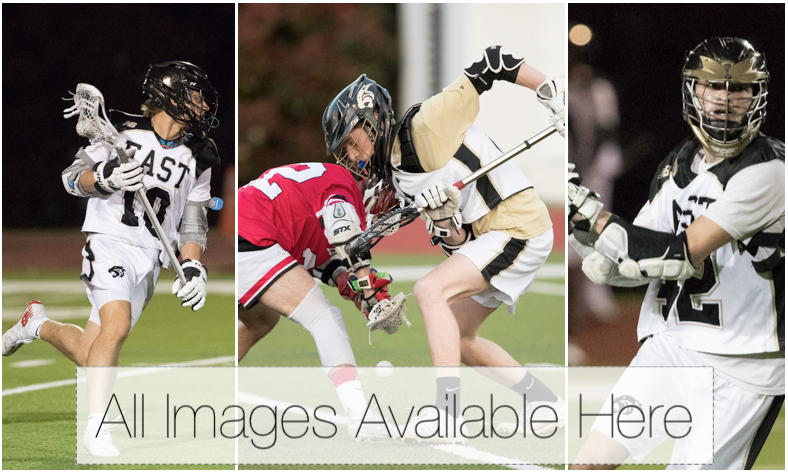 The Plano East Panthers Varsity Lacrosse team hosted the Lovejoy Leopards at Williams High School in Plano on Friday night for their 13th game of the 2019 season. The Panthers came into the match with an overall 5-7 record (1-2 in district) while the Leopards arrived with an impressive 6-3 overall record and an undefeated 4-win district record. The Panthers took time to get rolling with a methodical offensive game plan, while the Leopards came out with an attacking pace without spending much time at the perimeter. The Leopards quickly scored twice before the Panthers Midfielder #52, Michael Kerr, put up the home team's first goal at the seven minute mark in the first quarter. That pace of scoring continued through the first two quarters with the Panthers trailing 11-5 at the half. Kerr completed a first half hat-trick as time was expiring. The Leopards controlled face-offs throughout the game. Lovejoy took 17 on the game while Plano East won 11 in that crucial statistic. The Panthers also suffer from playing at a disadvantage in the first half due to multiple penalties. The second half of play was a more even scoring contest between the two teams. The Panthers scored 6 times behind the offensive output of #42, Attacker Patrick Ames, and his 3 goals and 2 assists in the game. The Panthers defense held the Leopards to 7 second-half goals behind goalkeeper, Jacob Pelo's 9 second-half saves. Posting an 18-11 loss, the Panthers move to a 1-3 record and will play against Cumberland Academy on Friday, April 12th at Williams Stadium in another District II match up at 7:30pm. The following game in Thursday April 18th at Williams and will be the Panthers annual Senior Night.